Between the 1933 Nazi seizure of power and their 1941 prohibition on all Jewish emigration, around 90,000 German Jews moved to the United States. Using the texts and images from a personal archive, this Palgrave Pivot explores how these refugees made sense of that experience. 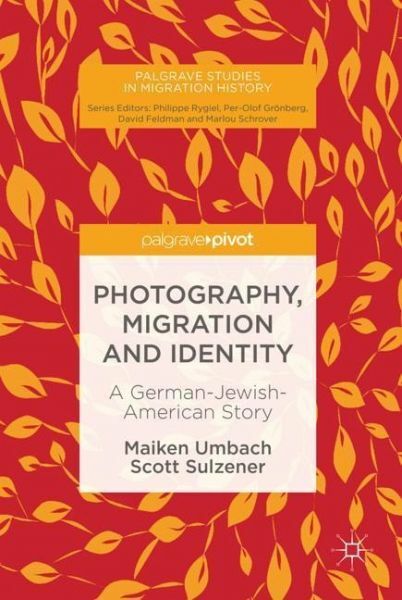 For many German Jews, theirs was not just a story of flight and exile; it was also one chapter in a longer history of global movement, experienced less as an estrangement from Germanness, than a reiteration of the mobility central to it. Private photography allowed these families to position themselves in a context of fluctuating notions of Germaness, and resist the prescribed disentanglement of their Jewish and German identities. In opening a unique window onto refugees' own sense of self as they moved across different geographical, political, and national environments, this book will appeal to readers interested in Jewish life and migration, visual culture, and the histories of National Socialism and the Holocaust. Maiken Umbach is Professor of Modern History at the University of Nottingham, UK. She has published widely on German regional identities and bourgeois culture, the nature of ideologies, and private life in Nazi Germany. She is currently directing a large research project on 'Photography as Political Practice during National Socialism'. Scott Sulzener is a PhD Candidate in Modern European History at the University of Iowa, USA. In addition to his research on German migrations, he has received fellowships for his work on the gender and social history of the German Empire. He is currently finishing his dissertation on the Imperial history of Protestant monasticism in the border regions of Schleswig-Holstein. 1. Introduction: Picturing Global Threads.- 2. Jewish Identities and Photography.- 3. Jewish Photography and the Pictorial Culture of Nazi Germany.- 4. Picturing Emigration.- 5. Photography, Identity, and Longing in the United States.- 6. Exile, Memory, and Irony.